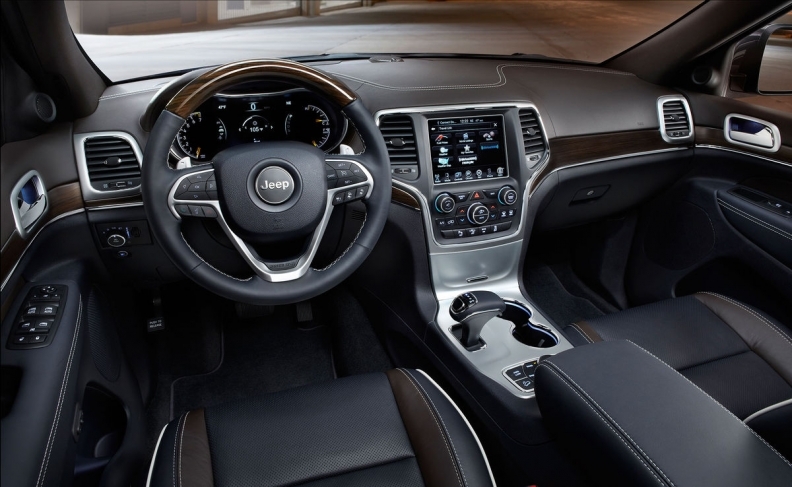 The 2015 Jeep Grand Cherokee has a touchscreen loaded with apps, Bluetooth, all-wheel drive and push-button start. Technological innovations are leading consumers to trade their cars in more frequently. (Bloomberg) -- Mike Fine was perfectly happy with his 2011 Nissan Xterra. Then he got a look at his son’s ride. The 2015 Jeep Grand Cherokee was packed with technology: a touchscreen loaded with apps, Bluetooth, all-wheel drive and push-button start. The Nissan had none of those. Fine did what any self-respecting father would do: He ditched the 4-year-old Nissan SUV for his own Grand Cherokee. “Compared to the Xterra, this is a comfortable space shuttle,” said Fine, who lives in Hingham, Mass. Upgrade envy has helped Apple Inc. sell millions of pricey iPhones. Now, it’s the auto industry’s turn, thanks to a raft of new technologies that make cars safer and easier to drive. Must-have features like parking assist and wireless Web access have helped automakers recover from the 2009 bust and charge record prices for their vehicles. The new gadgetry and falling oil prices are spurring demand. This year, automakers are expected to sell 16.9 million vehicles, for a sixth consecutive year of growth. And in a potentially dramatic shift in buying behavior, many drivers are trading in their cars more often to get the latest gear. The average length of an auto lease fell to about 36 months last year, according to Edmunds.com, which tracks vehicle purchase information. That’s the shortest term Edmunds has recorded. In some months, leases shrank to less than three years — not much more than the smartphone replacement cycle. It all happened so fast, many 10-year-old cars seem like time capsules. 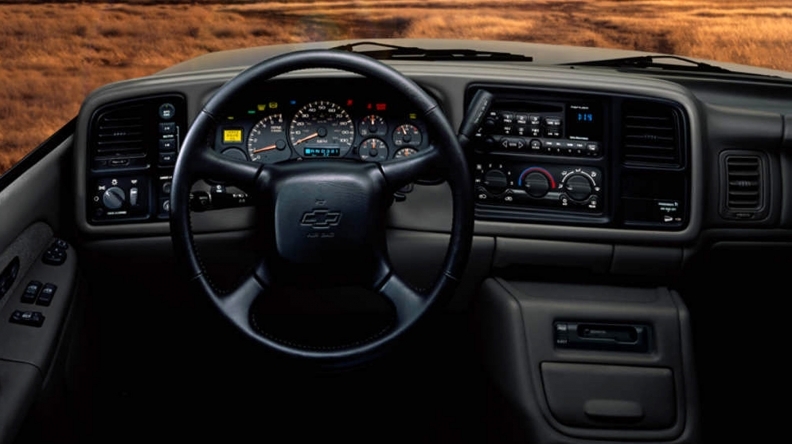 Infotainment and safety features that are commonplace now were virtually nonexistent as recently as 2005. Less than a third of 2005 models had anti-skid technology and less than 12 percent had rearview cameras, features found in almost all 2015 models, according to IHS data. In many cars, you couldn’t play an iPod through the stereo. The navigation system was usually stuck on the windscreen with a suction cup. Bill Russell had no idea how dated his 2002 Chevy Silverado pickup was until he traded it in for a 2014 model. Gone were most of the knobs and buttons, replaced by a screen with icons like the ones on his iPhone. A backup camera helps him safely maneuver the 5,102-pound pickup. Russell, who is 64 and lives in Harper Woods, Mich., revels in the fact that he can use his phone without taking his eyes off the road. 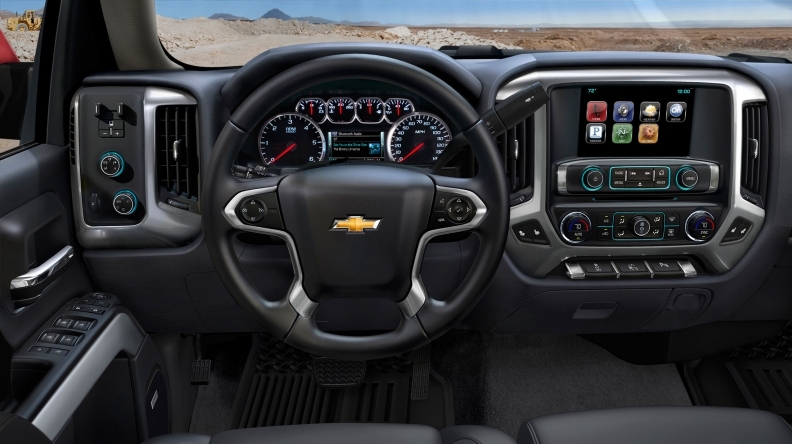 Automakers are falling over themselves to hawk the latest gizmos. Volvo commercials feature drivers using Pandora, Yelp! and other apps on the center screen to find exotic destinations and places to eat. BMW touts its head-up display as something available in not only the $135,000-plus i8 electric car but also the 3-series sedan. A Nissan Rogue uses blind-spot monitors and other cameras to navigate a stampede of bulls. In one ad, a convoy of five Hyundai 2015 Genesis sedans use adaptive cruise control and lane-guiding features to keep the cars in a line while each driver in turn jumps out of the moving car onto a flatbed truck. The lead driver then takes his hands off the wheel and puts on a blindfold and all the cars stop safely when the flatbed brakes in front of the line. The new technology doesn’t come cheap. Since 2009, average transaction prices per vehicle have risen $3,000 to about $32,100, Tynan said. But low interest rates and long loans are making the new generation of models more affordable, he said. There’s plenty of technology coming to keep buyers interested. Vehicles that drive themselves on the freeway or take over in traffic jams may be on the road in large numbers by 2017, Boston Consulting Group predicts. By 2020, technology that keeps cars in their lanes and adapts to prevailing traffic speeds will be much more common. Ditto for Wi-Fi. Automakers that push out new technology the fastest will gain an edge, said Karl Brauer, senior director of insights and analysis for Kelley Blue Book. He says car purchasing is become much like shopping for a new smartphone.